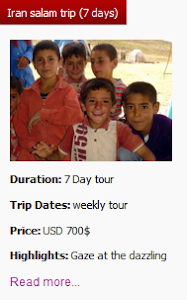 Uppersia Iran Travel blog: The magical route to the Naz Island. Qeshm, which is the biggest island in the Persian Gulf in the south of Iran, is a fabulous destination during autumn and winter. The weather is mild and pleasant and the natural attractions, like mangrove forest, the Salt cave and the stars valley are fabulous. 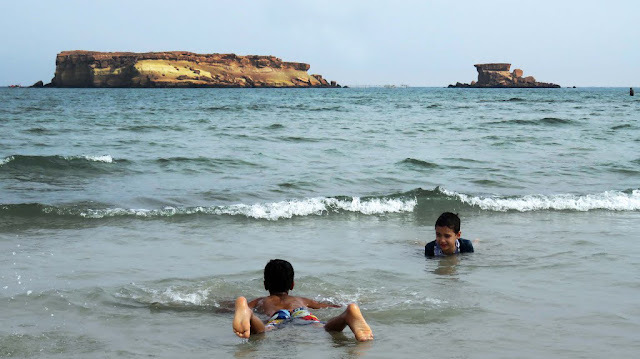 Qeshm Island is also habitat for many animals like the giant turtles, different types of birds and marine creatures, like jellyfish and coral reef. 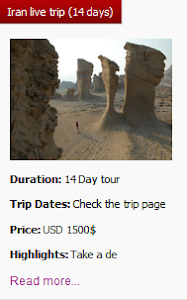 One of the most fantastic attractions of Qeshm is the Naz Island. This is a small rock island about 3 hectares in area and it is located 1 kilometer away from the southern beach of Qeshm Island. This rock Island is 5 to 10 meters high and has a flat surface. This island seems to be reachable only by boats, so you may start looking for a boatman or fisherman to give you a ride to the Naz Island. 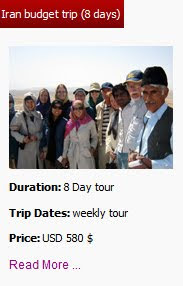 But when the low tide occurs, you will see a narrow route connecting Qeshm Island to the Naz Island. This really is a magical experience to walk on a path through the eternal sea. The beautiful landscape of the vast sea and other islands of this area is what you will see on the top of the Naz Island. The time of low tide during a day depends on the moon phase. During autumn and winter the low tide occurs in the afternoon, sometime during 13 to 22 and in the summer the low tide occurs in the morning or noon. So it is suggested to ask the local people about the time of the low tide and high tide before waiting for the magical route to appear! 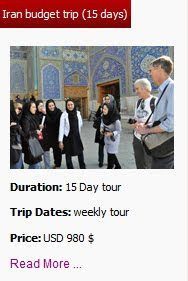 Join Uppersia on Bandar Abbas tours and enjoy the amazing culture and the natural attractions in the southern Iran.